Supervisor: Ing. Jan Grym Ph.D.
As part of my diploma thesis at FNSPE CTU, I am working at the Institute of Photonics and Electronics of the Czech Academy of Sciences (link) focusing on properties of ZnO nanorods. I am a student in the nanomaterial group lead by Ing. Jan Grym Ph.D.
Our main goal is to use conductive AFM and custom in-house made electronics to measure I-V curves of free-standing ZnO nanorods grown under various conditions using several different methods. I am also developing a custom measuring software for the KEITHLEY 237 measurement unit using Python 3.5, QT 5.7 and the pyVISA library. 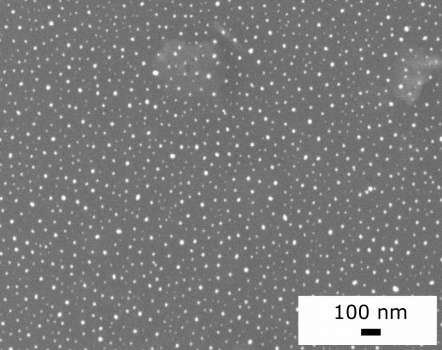 Understanding ZnO nanorods is important for a wide spectrum of applications, including biosensors, solar cells and piezoelectric nanogenerators. More information about this project can be found on a poster available here, which I presented at the 16th IUVSTA Summer School Devět Skal in 2017. 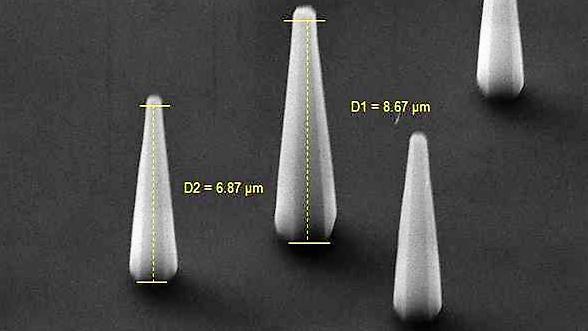 ZnO nanorods viewed by an SEM. Supervisor: Ing. Tomáš Škereň Ph.D. I succesfully defended my thesis at FNSPE CTU, Department of Physical Electronics in September 2015. The main focus of my thesis was synthesis of embedded nanoparticles using ion implantation techniques. 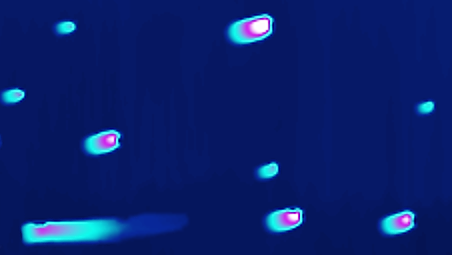 It starts with a theoretical research part, focusing on the techniques used in research and their capabilities in creating nanocomposites as well as techniques available for nanoparticle characterization. In the experimental parf of the thesis, our experiments are described in detail, mostly concerning the fabricated samples of silver nanoparticles in glass using the ion implantator at the Department of Physical Electronics. Used methods include direct implantation as well as implantation through a cover layer. The samples were then analyzed using SEM, AFM and optical absorption spectroscopy. Embedded nanoparticles of Ag in glass.